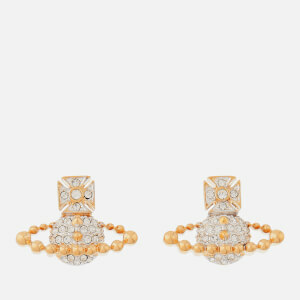 Bas relief stud earrings from British designer, Vivienne Westwood. 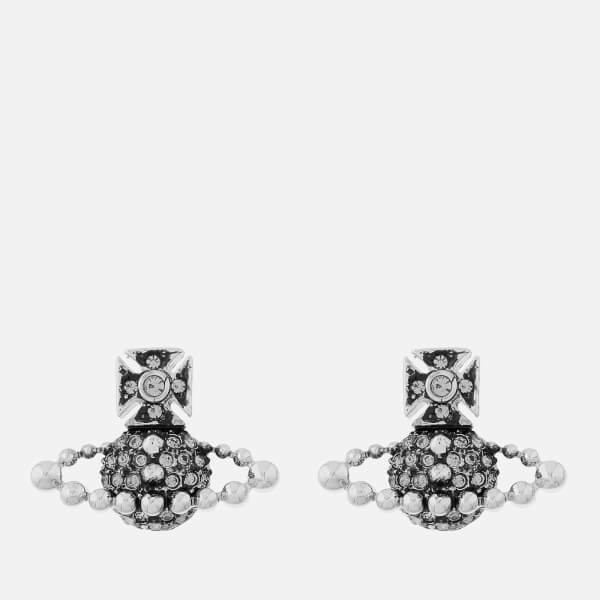 Crafted with durable plated brass, the gunmetal ‘Lena’ studs comprise the iconic orb shape and are decorated with silver Swarovski crystals. A secure butterfly back keeps them in place, while engraved logo detail to the reverse adds the finishing touch to the design. The earrings arrive in a branded gift box with a fabric pouch.